Psychology Physicians/Healthcare Providers at this clinic. Child Abuse Pediatrics Physicians/Healthcare Providers at this clinic. The PATH program at UT Physicians is a unique day treatment program for children and adolescents with complex medical issues who also have behavioral or emotional challenges. Participants in the program may have gastrointestinal illness, diabetes, asthma, seizures, chronic pain, somatoform disorders, or other complex health problems. For many PATH patients, traditional clinic and hospital care has not been able to meet all of their needs, resulting in repeated outpatient visits and hospitalizations. These children and their families often experience impairment in functioning at home, school, and work as a result of the stress associated with the child’s illness. The PATH program provides family focused integrated care, with individualized treatment plans that aim to help children achieve their highest potential level of functioning. The program offers a nurturing environment that allows children and families to participate in activities and therapy in a climate of healing five days per week – while also providing access to all the services that are available to patients admitted to Children’s Memorial Hermann Hospital, including consultation with specialists and comprehensive diagnostic testing. Family involvement includes nursing and nutrition education sessions, multidisciplinary team meetings, family therapy, and involvement in multifamily group therapy. Instruction in a skills-based curriculum focuses on mindfulness, cognitive and behavioral coping strategies, and healthy emotional expression. Parents and care givers are always a crucial part of each child’s team. The treatment team also includes at least some of the following professionals: a pediatrician, a psychiatrist, a psychologist or therapist, a nurse, a nutritionist, a milieu therapist, a social worker, and a teacher. Children spend an average of three to five weeks in the program, arriving Monday through Friday at 7:30 a.m. and leaving at 3:30 p.m. Breakfast, lunch, and snacks are served each day. Each child receives 90 minutes of educational instruction, coordinated with his or her home school, every day in order to maintain academic progress. The Fannin facing side of the UTPB Garage Building has a high traffic of pedestrians. Please be careful when entering and exiting the parking building. 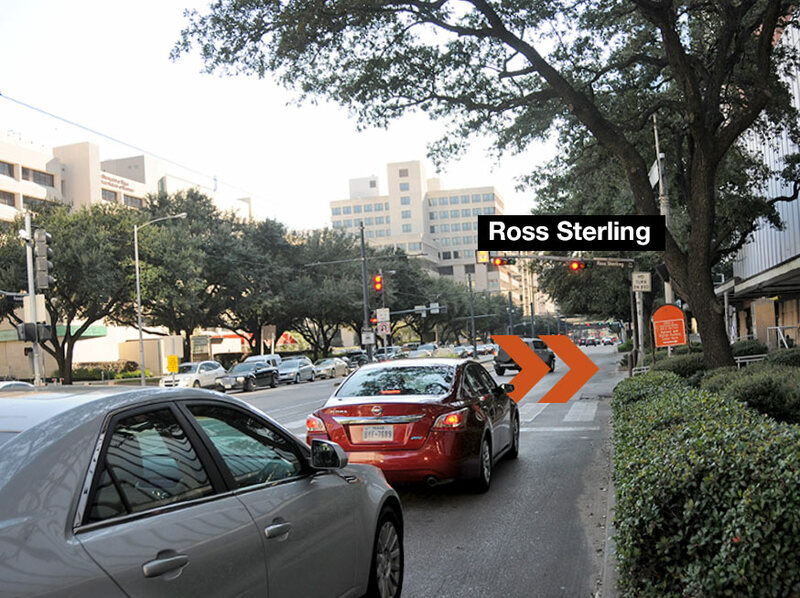 On Fannin Street, Take a right on the Ross Sterling light between Mac Gregor and John F. Freeman Blvd.